Registration for this summer is full! At the heart of the Star Island experience is the sense of ongoing community set in a place of beauty, a place many come to call home. Whether you come for the community, the tidepools, the music, or the breathtaking views, Star Island offers something for everyone. 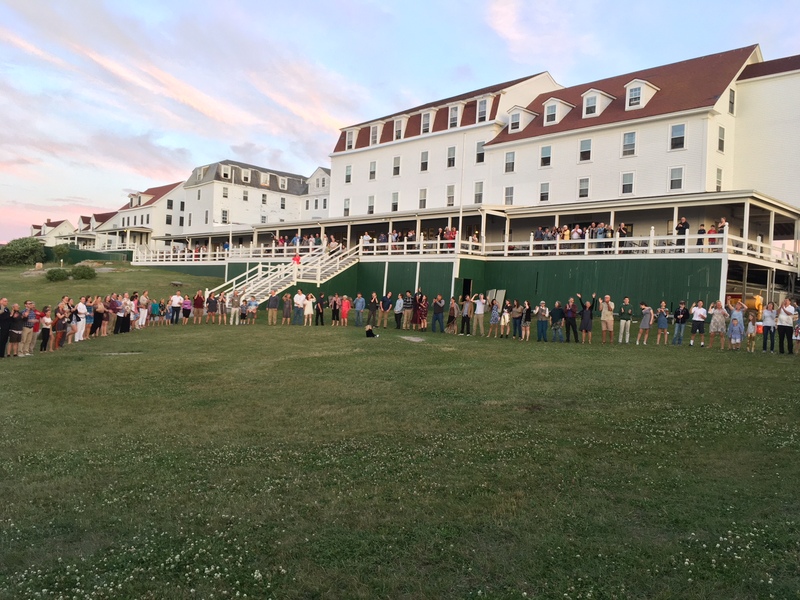 All Star I Family Conference offers a multi-generational experience where shoalers old and new can explore matters of consequence while partaking in a community that is deep, creative, and family-friendly. 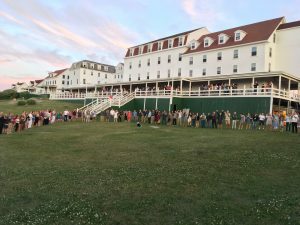 The children are involved in morning and afternoon classes and the adults rejoice in watching the trust walks, the Children’s Stunt Show, and the infamous Great People Hunt. There are clenched teeth all around as the community comes together to see if the Junior Teens’ handmade boat will make it to Smuttynose and back! There are daily music, art, and sports activities as well as a book group and talks on the rocks. There is truly something for everyone. This year our conference speaker is Donna Washington, a dynamic and award winning international storyteller, author, and teaching artist. She will be helping us explore the questions: Who are you? What is your story or narrative? This week is about identity and expression and will be highlighted through a Masked Ball and final Banquet. So, bring your stories, your kite, your ukulele, and best costume and join us for All Star I 2019! Contributions to the All Star I Financial Assistance Fund are welcomed and encouraged. Please consider a donation to the Financial Assistance fund. You can write a check payable to All Star One, with memo “FA Fund” and mail to Ann Etter. Keep in touch with your All Star I community by joining our email list. Actions Taken by the G.C. All Star 1 is proudly powered by WordPress and the Simplicity theme.